Boring. That's what my design is probably going to be. Boring and unimaginative... but hopefully also mainstream and really useful for education in developing countries (or any country) or in those robot classes I've been wanting to put on. I've been working on the AFRON $10 Robot Design Challenge in between a massive garage reorganization project and installing fuel injection on my vintage Jeep Grand Wagoneer. I thought for awhile about unorthodox approaches. A bristle-bot occurred to me, and was also suggested by a pal of mine. 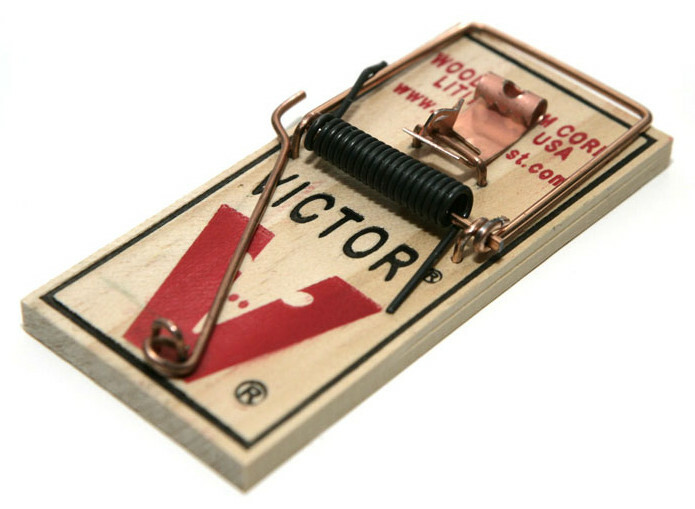 I am evaluating using a spring mousetrap instead of a DC motor. What about a boat of some type? Or some kind of solenoid powered scooter thingy? There's opportunity to add some physics lessons to the robot this way, sure. On the other hand, I'm concerned about the practicality of each approach. A simple tabletop wheeled robot seems most conducive to teaching programming and basic electronics. I found a source for really inexpensive robot parts. Yes, from China. In the unlikely event that they arrive before the deadline, they represent quite a cost savings in the design without sacrificing functionality. This source sells, for under $3, a dual axle motor/gearbox combo. Even cheaper is an entire electric car with motor, gearbox, tires, axles, battery holder. At another retailer, I've found bulk AA batteries, which will count towards the design's total cost, for under a quarter each. 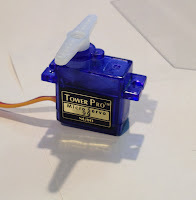 I've found hobby DC motors for well under $1 but a geartrain is hard to put together and can be costly. Using a motor to drive a large wheel directly is probably best in that case. 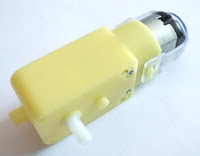 I spent a lot of time thinking of ways to develop actuators for steering or environment manipulation but none are cheaper than, as well as superior to, a $3 micro servo. It seems I'm turning this into a shopping exercise more than anything else. On the electronics side I'm struggling to get costs down without sacrificing too much. I really want to go with an Arduino-compatible platform for reasons I'll reveal after September 12. An ATmega328P costs just about $3 from Digi-Key, yet an ATmega168 or ATmega8 cost more. Cheaper options exist that are less Arduino-compatible, and some that are totally incompatible. I've spent quite a bit of time on motor control. There are a few small ICs that can drive low voltage motors from low voltage power supplies (2 x AA). A cheaper option is a MOSFET h-bridge, but finding the right MOSFETs has been a significant challenge. As for sensors, discrete infrared LEDs and phototransistors seem cheapest. My Microrobot uses these and I recall they worked reasonably well for basic obstacle avoidance, but I've not used them for line following. I'm pretty confident I can make a functional, decent, mainstream line follower for $20 or less. Bulk discounts will definitely help get the price pretty low. I don't expect to win the competition at this point. I'm sure others will come up with truly brilliant, creative designs leaving me slapping my forehead in dismay. Still, I'll consider my efforts a success if I can come up with a useful design that can be used to teach kids. Hmm. The ATMega328P is only 1.70 in higher quantities. And I expect if you simplify the supply chain (By manufacturing in china) the price drops even lower. This looks like the only way to build a 10 dollar robot. You get to spend as much as 100 dollars on the prototype, then under rule 7, use volume pricing and some assumptions to specify a low manufactured cost. @TeslaFan: agreed, the volume stuff makes this definitely doable. As far as parts, only, I'm already within reach of $10 at a volume of 1. :) Not counting board manufacture/assembly. My current board is only 1 sq in so that's still only $1.67 via OSHpark.com. I think I'm actually going to make a run of these myself, or at least try, via Kickstarter. Volume pricing at 100 units makes things considerably cheaper. At 1000 it drops a lot. I want to have boards and assembly done at a local place here in Colorado. Perhaps they get special discounts on parts, I don't know.